Regardless of supposed Trump backing, the process is complicated and expensive. Late last month, a list of infrastructure projects purportedly prioritized by the Trump administration sparked headlines across the country. 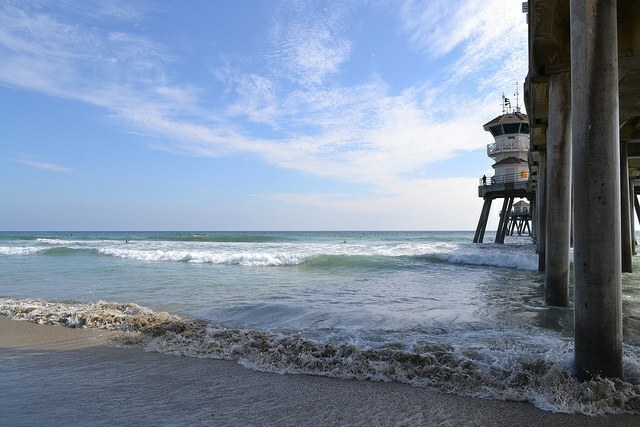 Several of the projects aim to swell water supplies in the West, including a controversial plan to capture groundwater beneath California’s Cadiz Valley, a venture to pipe water out of an aquifer in New Mexico, and a proposed desalination plant perched on the edge of the Pacific Ocean, in Huntington Beach, California. The nearly $1 billion desalination plant could be operating as soon as 2020, according to Poseidon Water, the company behind the project. In the West, calling water a contentious issue is an ocean of an understatement. As the climate warms and populations grow in the coming decades, many water experts agree that desalinated seawater will likely play a role in quenching California’s thirst. Where they disagree, however, is in how to remove the salt from ocean water in a way that makes sense economically — and for the environment. The proposed Huntington Beach, California, plant would produce 50 million gallons of desalinated water per day, about 8 percent of what Orange County needs. Seawater desalination likely isn’t a practical way to produce the bulk of California’s water. The Huntington Beach plant, for example, would produce just 8 percent of the water needed in Orange County. That’s partly due to cost: According to a 2016 report by the Pacific Institute, a global water think tank, seawater desalination is currently one of the most expensive water sources in California. Alternative supplies are as much as four times cheaper than desalination, while conservation measures can actually save money. The price of seawater desalination isn’t just economic. Environmental impacts vary depending on the technology used, but there are three key concerns: greenhouse gas emissions, disposal of leftover concentrated saltwater and damage done to marine organisms by the pipe that pulls in seawater. Most modern desalination facilities use pressure to push ocean water through a membrane that excludes salt, an energy-intensive process called reverse osmosis. The electricity needed to power that process can produce substantial carbon dioxide emissions. It also accounts, in part, for desalination’s hefty price tag: about half of the operating costs at most seawater desalination plants go toward the energy bill. Desalination companies can try to compensate for that environmental harm by purchasing emissions offsets, for example, something Poseidon plans to do at the proposed Huntington Beach plant. In addition to fresh water, a typical desalination plant also spits out “brine,” twice as salty as the source water. Brine poured back into the ocean can sink to the seafloor and form a salty plume, harming the creatures that live there, Cooley says. According to the California Ocean Plan, the preferred way to dispose of brine is to mix it with wastewater already headed to the ocean. Where that’s not an option, a plant can use underwater mechanical diffusers that spray brine into the ocean, swirling and diluting it, and thereby lessening its impact. Another worry is that marine creatures can be sucked into a plant or pinned against the screen across the intake pipe opening as it slurps up water. Intake pipes can be huge: At Huntington Beach, for example, Poseidon plans to refurbish a power plant pipe that’s 14 feet in diameter — big enough, the LA Times points out, to drive a semi-truck through. The power plant is in the process of shutting down the intake pipe due to environmental regulations designed to protect marine life. “[To] hook up to those very same pipes that the state banned the power plants from using doesn’t make a whole lot of sense,” says Ray Hiemstra of Orange County Coastkeeper, a nonprofit environmental group. Meanwhile, Poseidon’s executives, faced with attention from their spot on the supposed Trump administration list, are wondering what it signals about the fate of their plant. The final three permitting approvals the company must secure before construction can begin are all from state agencies, not federal ones; and the project doesn’t depend on federal funding. “Now we’re just trying to figure out if it means anything at all,” Maloni says. Note: This story has been updated to reflect that fact that maintenance, as well as construction, of a subsurface intake may have an environmental impact. From saltwater to drinking water?